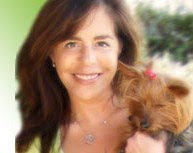 Wendy Nan Rees, Pet Lifestyle Advisor. taken anywhere that there is a phone. home’s current design a bit. •Also available for Personal appearances! Tuesdays1:00 pm to 2:00 pm PST.